The organisation that investigates the deaths of whales and dolphins on Scotland's coast said 2018 was a record year for strandings. 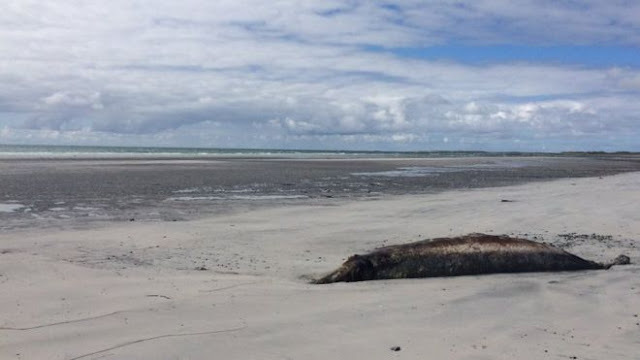 The Scottish Marine Animal Strandings Scheme (Smass), which has been in activity since 1992, said in excess of 930 cases were accounted for. Inverness-based Smass said the expansion was likely down to an "enhanced exertion" to alarm it to dead or stranded creatures. The strandings included just about 100 bent whales in August and September. This occasion, which included whales stranding along Scotland's west coast and furthermore on the shore of Ireland and Northern Ireland, was the biggest of its sort at any point recorded, said Smass. The greater part of the whales, predominantly profound jumping Cuvier's bent whales , cleaned up in Scotland, incorporating into North Uist and Harris and parts of Argyll. At the time a few specialists hypothesized that expanded maritime sonar movement may have been at fault. Smass said it had seen a year-on-year increment in all creature strandings for very nearly 10 years. It said this was generally because of better open mindfulness and detailing, as opposed to an issue with the world's seas. A year ago, 670 strandings were accounted for to Smass. There were 204 out of 2009.